Many impressive photographs work simply because the photographer has thought about things differently. This could be shooting from a particular angle, or perhaps using a technique in an unorthodox manner – either way, some ingenuity will often be involved. It’s also true to say that many great photographs have been taken without the photographer physically touching the camera at the moment of capture. This may sound a little odd, but for some images it may have been the only way they could have been taken. There are several ways that images may be taken remotely, ranging from the simple use of a camera’s self-timer, to more elaborate methods of using a subject’s motion to trigger a shutter release. Between these two options lie an array of other possibilities, many of which are either beneficial to or specifically required for certain types of photography. Ordinary subjects in ordinary conditions rarely require such fanciful measures, but understanding when to use them can open you up to new photographic genres. Shooting time-lapse footage, for example, is infinitely easier when a camera is instructed to fire at regular intervals, just as long exposures benefit from remote firing to avoid camera shake. You may also need to be physically away from the camera in some situations, such as when shooting sports, wildlife or nature. 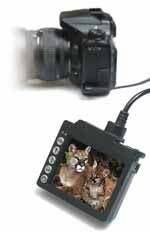 A photographer may hook up a monitor to display the camera’s live view feed, move sufficiently away from the camera itself, and simply trip the shutter remotely when the action presents itself. Many tools are available for remote triggering. Camera manufacturers often offer remotes, though third-party manufacturers often have cheaper alternatives. In any case, it’s important to understand the limitations of your equipment, as what may be suitable for one type of photography may be useless for another. As an example, anyone looking to buy a cable release remote will be presented with the options of wired, infrared or radio models, which each work in a different way. As even the cheapest compact cameras offer a self timer, this is an option available to anyone with a camera at no expense. It is often called upon for group shots and self-portraits, and will typically offer two and ten-second delay options. Its usefulness, however, extends way beyond these situations, to macro and still-life photography, or whenever else the camera needs to be kept absolutely still. After all, even a gentle press of the shutter release can translate to a slight blur in images. If your camera has a mirror-lock function, it may be possible to use the two together for the minimal camera movement prior to exposure. Some cameras come with intervalometers built in, which can be used to fire a series of images that are subsequently combined into a single time-lapse piece of footage. Though it’s possible to do this manually using the camera’s self-timer facility and a watch, any minor changes in the camera’s position will be visible in the resulting video. You can also use an external remote controls to perform the same task. These generally give you the option of setting the exact time interval between each exposure, and number of images to be taken for the whole series. Wired remotes, which plug into the side of many cameras, are a popular way of triggering an exposure, particularly as some third-party manufacturers carry inexpensive models for the major brands. These range from what’s essentially just a button for triggering the shutter, to those with LCD displays for delay countdowns, interval shooting etc. Some of these with displays may feature a backlight for shooting in low light. You may be limited by the length of their cable, though many types of photography won’t be compromised by this. If they are, you can usually use an extension cable to increase this distance. Infrared remotes are not limited by cable length, and some can be used a fair distance away from the camera. 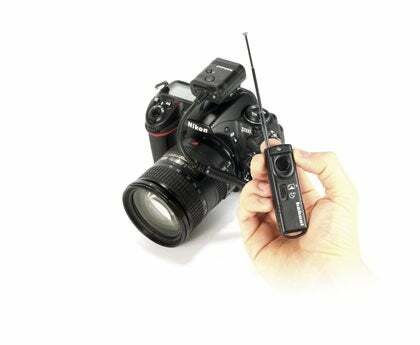 The receiver part of the control plugs into the camera and sits in its hotshoe, while the transmitter is used to control the camera. Functionality varies with cost, but the most basic models will allow you to autofocus and release the shutter, and some let you set delay modes. As these use infrared they need to be in the line of sight of the receiver, so you need to be either in front of or just to the side of the camera. The Seculine Zigview S2 Live combines many of the options on this page into one practical unit. It’s essentially a 2.5in colour LCD screen, with buttons on one side to control the camera, which plugs into a camera’s AV socket to obtain the live view feed. As well as standard cable release options such as bulb shooting, the ZigView S2 live offers an intervalometer for time-lapse captures, and even motion sensing. For older cameras without live view, similar units that slip over the camera’s viewfinder are available. The advantage of using a remote that works on radio signals is you don’t need to be in the direct line of sight with the camera. They also allow you to be further away when triggering the shutter, and sometimes even when there is an obstruction, like a wall. Also perfect when shooting from an elevated viewpoint, where you may need more time to get the camera positioned than a self-timer allows, and the issues of other remotes make them impractical. With group shots, you can discreetly fire several shots while being in the frame. Perhaps the ultimate tool for remote triggering, the Gitzo Athena is a relatively new concept, designed for ‘dangerous, unusual or complicated situations’. The sturdy aluminium frame mounts a DSLR and allows it to move over three axes in 0.1° increments. The onboard computer is controlled remotely via a wi-fi or Ethernet connection, so it can be set-up close to the action while you watch the feed from a comfortable distance, and makes your adjustments. It’s pricey, but who knows where the technology could go? Image preview sizes are limited by the dimensions of a camera’s LCD screen. Connecting a camera to a computer or laptop gives a larger preview of the image, and can make it easier to see if any adjustments are required, which can be done through the laptop itself. This is particularly useful for studio photography, though any other area where it is practical to take a laptop can benefit from this set-up (such as nature photography, where you may not want to be in front of the camera). All that is needed is a USB cable and the correct software, which, with certain cameras, come as standard. If you need to be further away than 5m from the camera, you will also need a repeater cable to strengthen the signal. It’s not just cameras that can be triggered remotely, but flashguns too. If working with a number of flashguns, these can be positioned around a scene and set to fire simultaneously, by designating one as the master unit and the others as slaves. Some cameras, such as Olympus’s E-system DSLRs, come with wireless flash control built in, so an external transmitter isn’t needed for an off-camera flash to fire, but those that don’t have this option will often be compatible with a hotshoe-mounted transmitter. Studio and fashion photographers who may need to trigger external lighting set-ups often find the easiest solution is either a standard flash-sync cable that connects the camera to the lighting set up, or a radio transmitter such as Pocket Wizard. While this latter device is a more expensive solution it has wireless control, and so is better suited for work where a cable is not long enough or impractical. 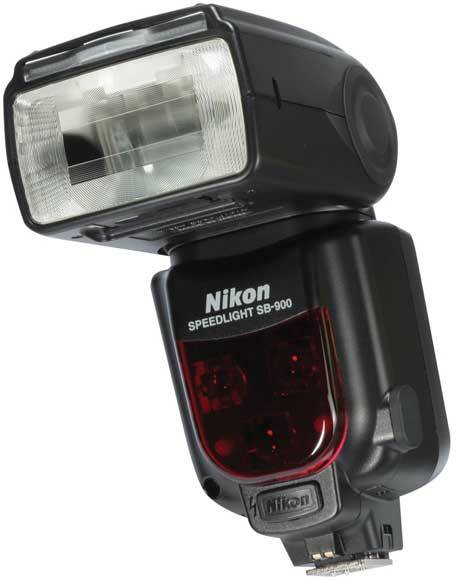 The latest versions of these are compatible with Canon’s E-TTL II metering system – Nikon users are due their own version imminently.